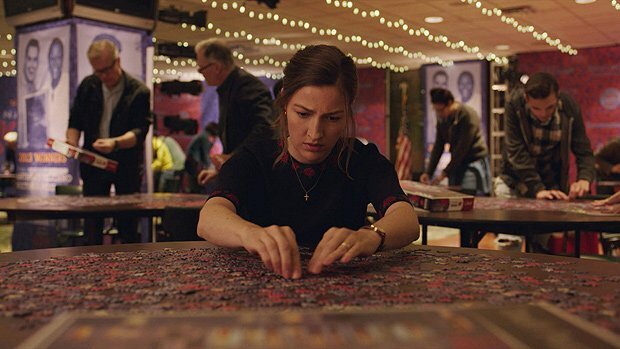 The Edinburgh International Film Festival will be rolling out the red carpet for a stunning array of high-profile guests come 20 June, with the likes of Scottish actor Kelly Macdonald (T2 Trainspotting), star of this year's Opening Night Gala film Puzzle, in attendance alongside the film's director Marc Turtletaub. Director and writer Bill Forsyth will make an appearance during a special screening of his 1983 hit Local Hero, followed by a Q&A with the Lyceum's Artistic Director David Greig as they adapt the classic coming-of-age tale for the stage. The Australian contingent this year is particularly strong, with the likes of comedian, screenwriter and director Ben Elton (Maybe Baby) making the trek to witness his sunny Aussie love story Three Summers receive its international premiere at the festival. His countrywoman Melissa George (The Good Wife) will be supporting her drama The Butterfly Tree, and writer-director Stephan Elliott (of The Adventures of Priscilla, Queen of the Desert fame) will arrive in support of his new film Flammable Children (Swinging Safari), which has been nominated for an Audience Award. Strength must indeed come in numbers, as members of the cast and crew for Calibre, Two for Joy, Lucid and Obey – all of which have been nominated for the prestigious Michael Powell Award for Best British Feature Film – will be making appearances this year. Sadie Frost, who acts in Lucid and produced Two for Joy through her production company, will be present alongside Two for Joy stars Samantha Morton (Fantastic Beasts and Where to Find Them), Billie Piper (Collateral) and Daniel Mays (Rogue One). Representing Obey, their gritty drama set during the London riots, will be actor Sophie Kennedy Clark (Philomena) and director James Jones. Other special guests include Beattie Edmondson (Bridget Jones' Baby), star of frothy canine-comedy Patrick, and famed Scottish director Kevin Macdonald (The Last King of Scotland), who will be introducing his much-anticipated documentary Whitney. The cast of the Closing Night Gala's film Swimming with Men will be participating in a Q&A panel discussion, which will include Thomas Turgoose, Jane Horrocks, Daniel Mays, Nathaniel Parker and Rob Brydon. Brydon will also be hosting a talk about his career across stand-up, television and films, whilst husband and wife duo Stephen Moyer and Anna Paquin (both of True Blood) will be in Edinburgh to discuss Moyer's directorial debut The Parting Glass, which stars Paquin. The announcement of this year's festival jury also contains several noteworthy names, including Tommy's Honour director Jason Connery; actors Ana Ularu, Susan Wokoma, Iain de Caestecker and acclaimed Iranian actor Fatemeh (Simin) Motamed Arya; film director Gaston Kabore; the artistic director for the Dublin International Film Festival Grainne Humphreys; and film critics Kate Muir and Miriam Bale.